On Friday, Lateef Fagbemi, counsel to Amaechi’s faction, asked the apex court to clear legal impediments against Tonye Cole, his client. 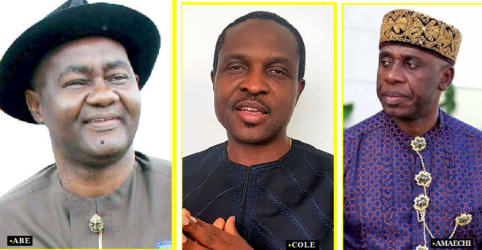 Cole is the governorship candidate of the Amaechi faction. But that request was rejected when a five-man panel of the supreme court led by Mohammad Dattijo. The apex court evoked section 22 of its act which allows it to give final judgement in an appeal. In a unanimous judgement read by Sidi Barge, the court took over the matter because the court of appeal did not make a dismissal pronouncement. “It is my considered opinion that this appeal must be given a decent burial. The appeal having been withdrawn at the lower court by the respondent is deemed distilled. This is what the lower court failed or evaded to do,” the justice said. The Independent National Electoral Commission (INEC) has refused to enlist APC candidates in Rivers in the election despite pressure from the party.